Hedgehogs are primarily nocturnal, although, depending on the species, they may be more or less active during the day. The hedgehog sleeps for a large portion of the daytime either under cover of bush, grass, rock or in a hole in the ground. Again, different species can have slightly different habits, but in general hedgehogs dig dens for shelter. All wild hedgehogs can hibernate, although not all do; hibernation depends on temperature, species, and abundance of food. The hedgehog's back is made up of two large muscles, which control the positioning of its quills. There are about 5,000 to 7,000 quills on the average hedgehog, and these are durable on the outside, while being filled with air pockets on the inside. 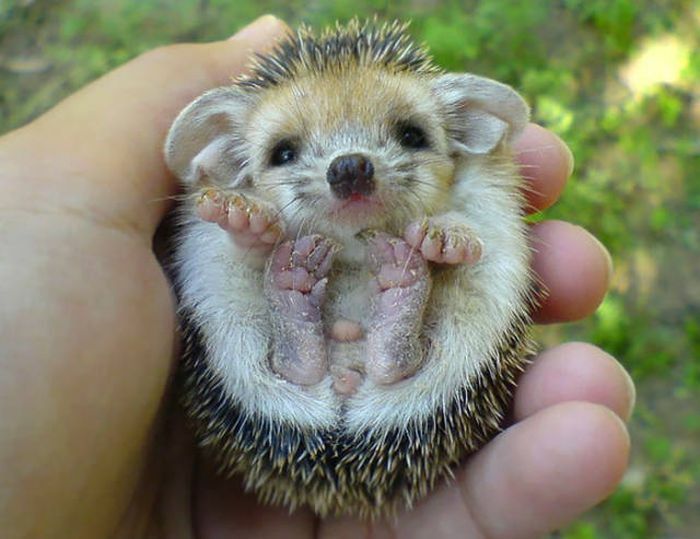 The hedgehog uses its quills to protect itself from predators, using muscles which draw their quilled skin to cover their full body, and pulling in the parts of their bodies not covered, such as their head, feet, and belly. This form of defense is the hedgehog's most successful, but is usually their last resort.